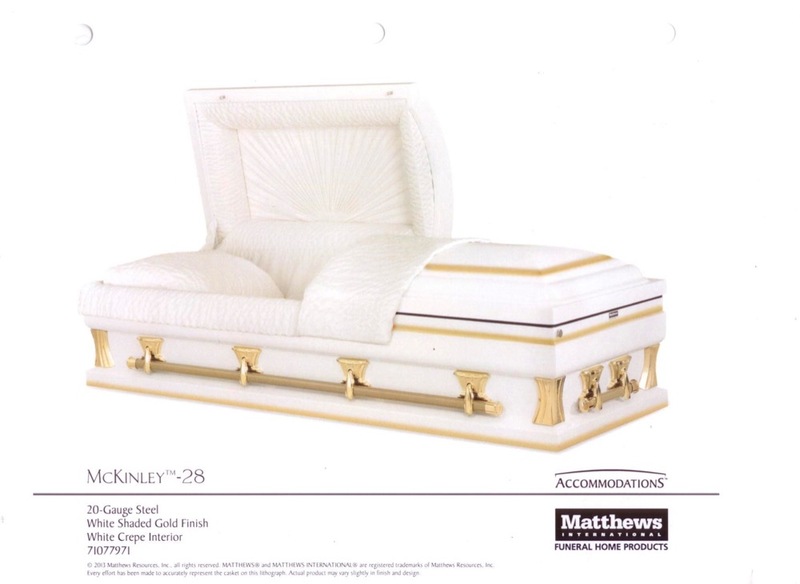 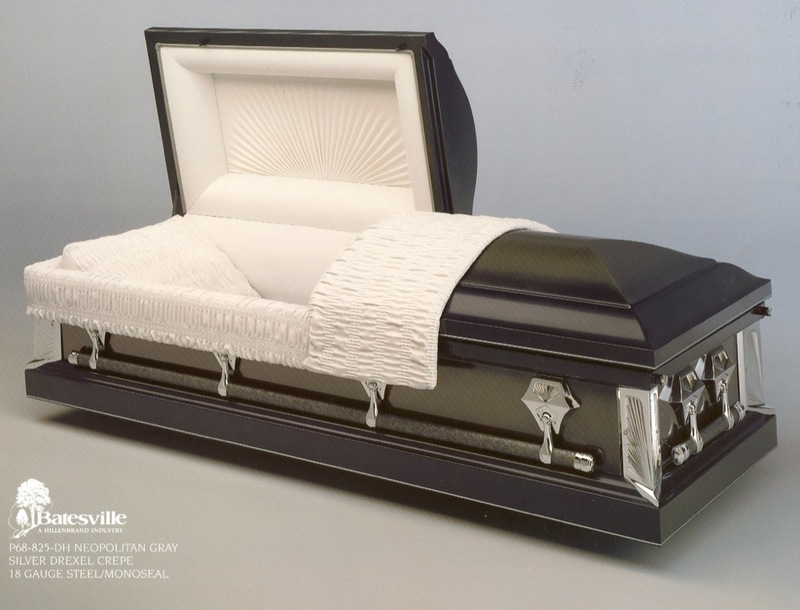 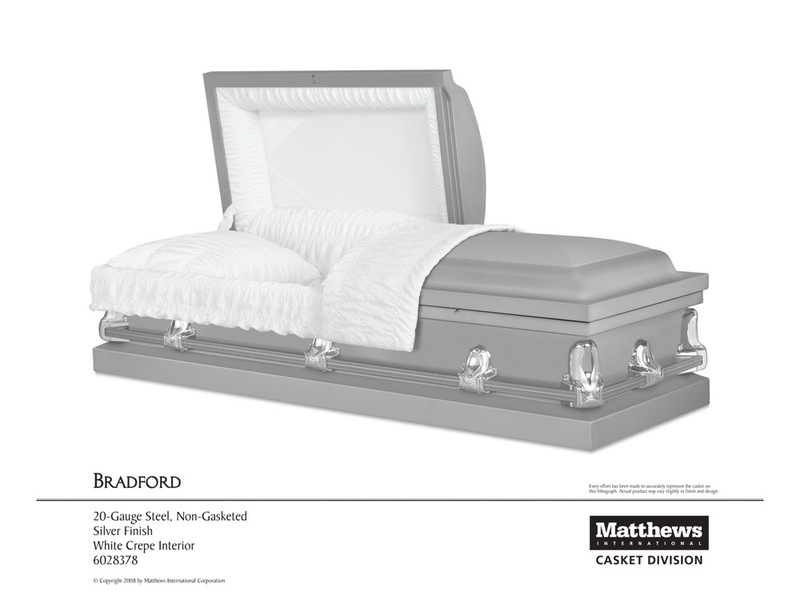 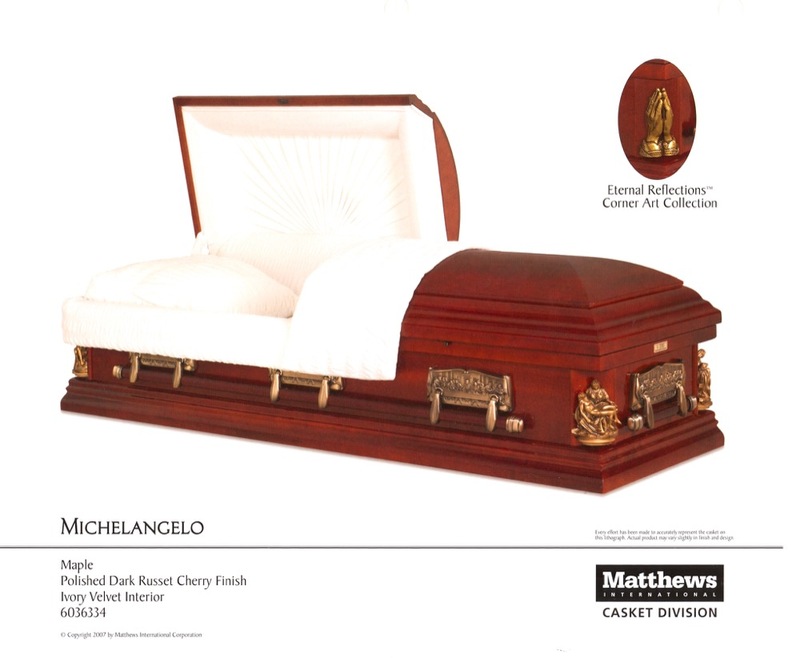 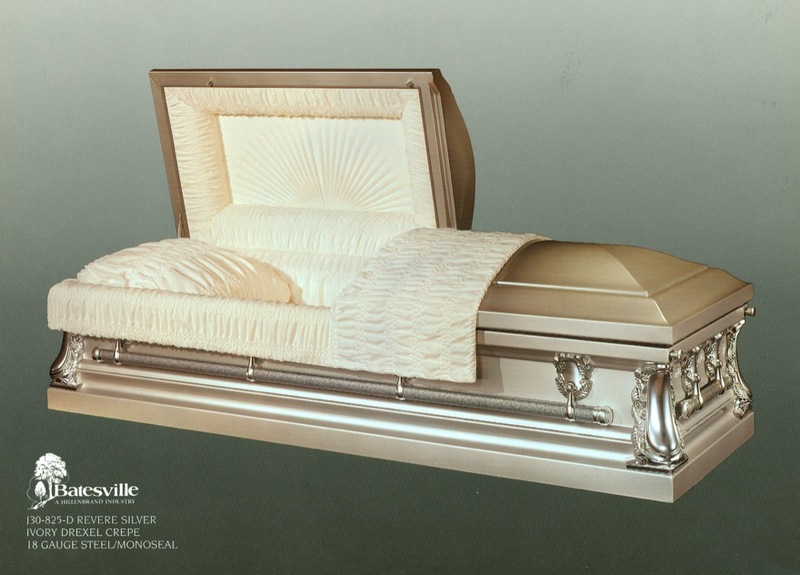 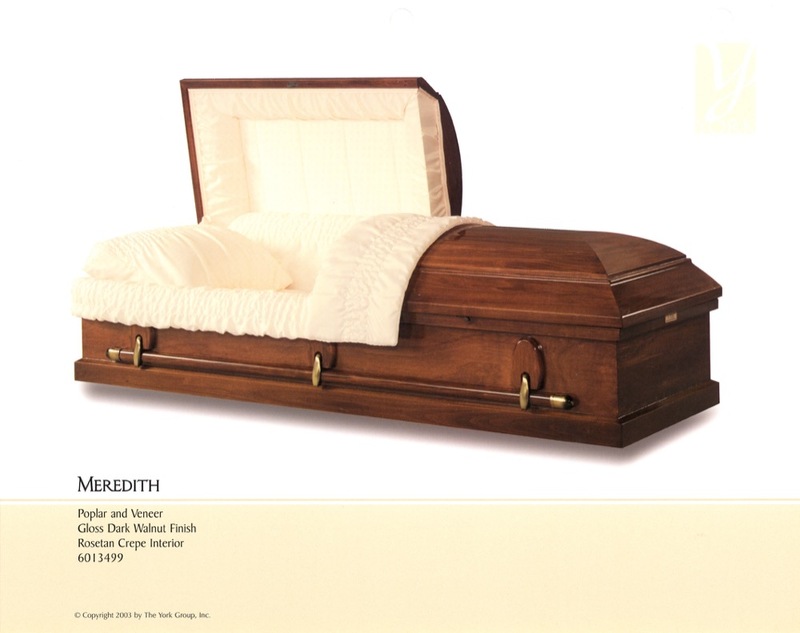 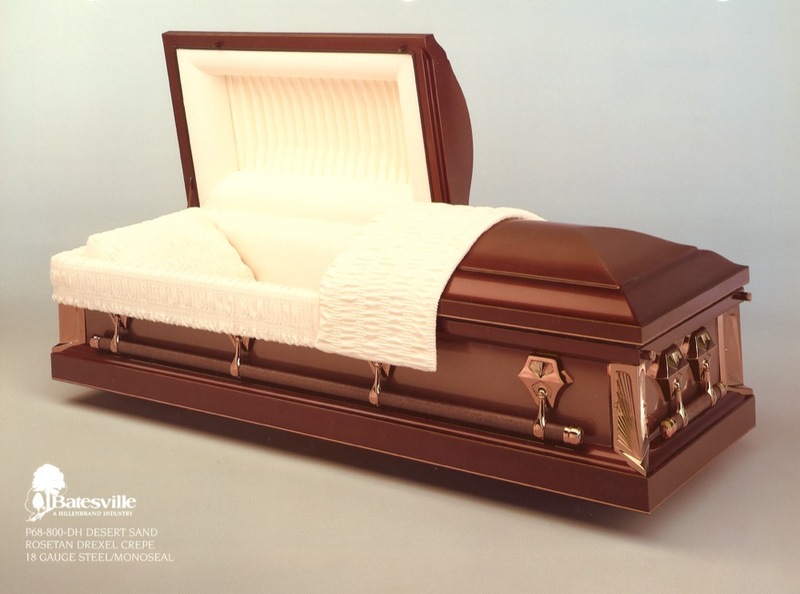 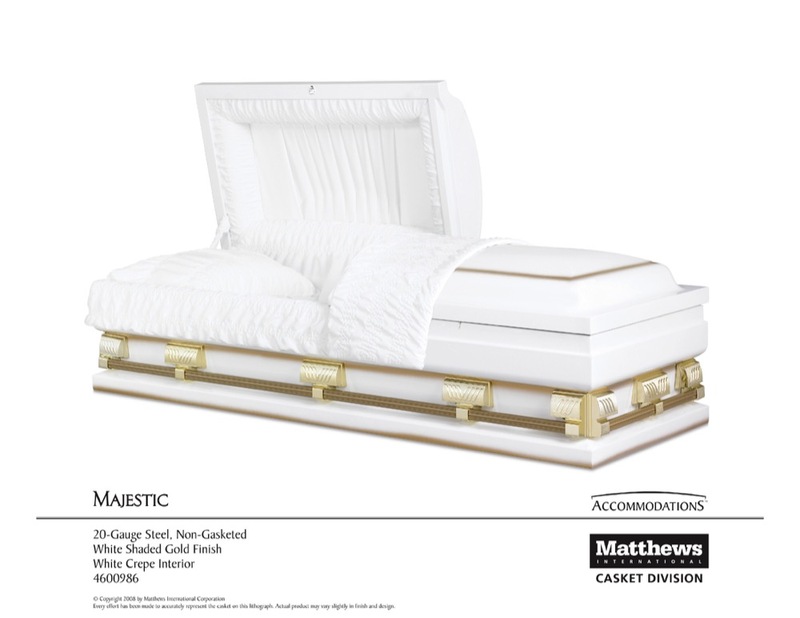 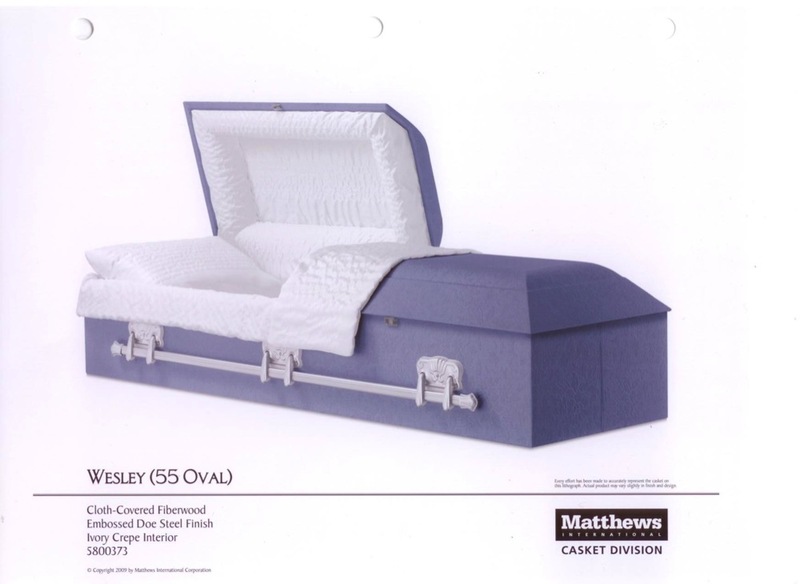 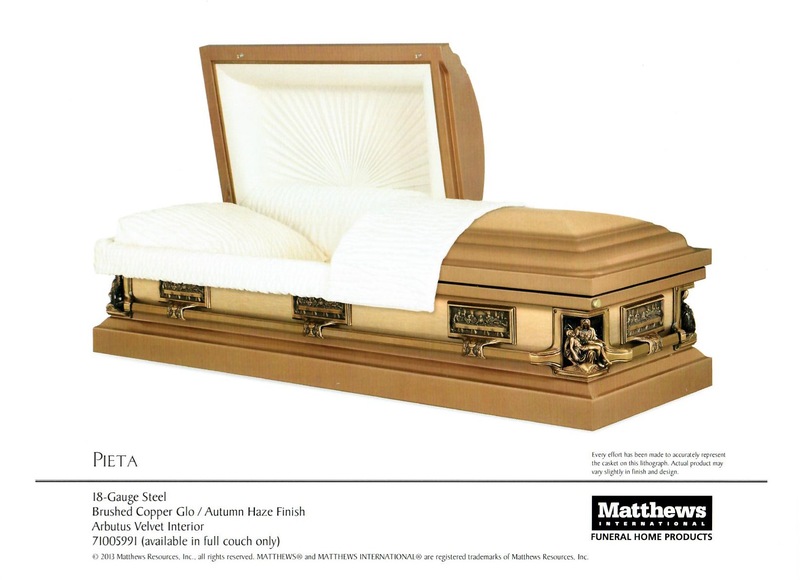 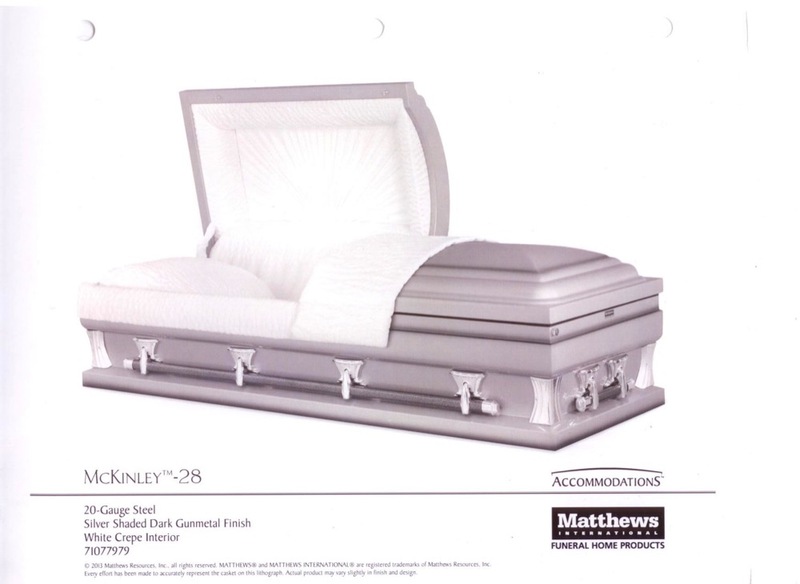 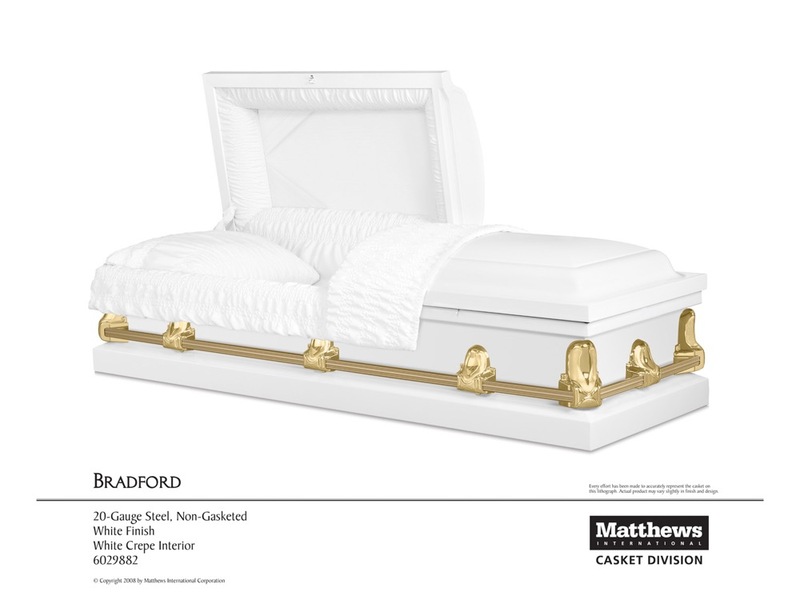 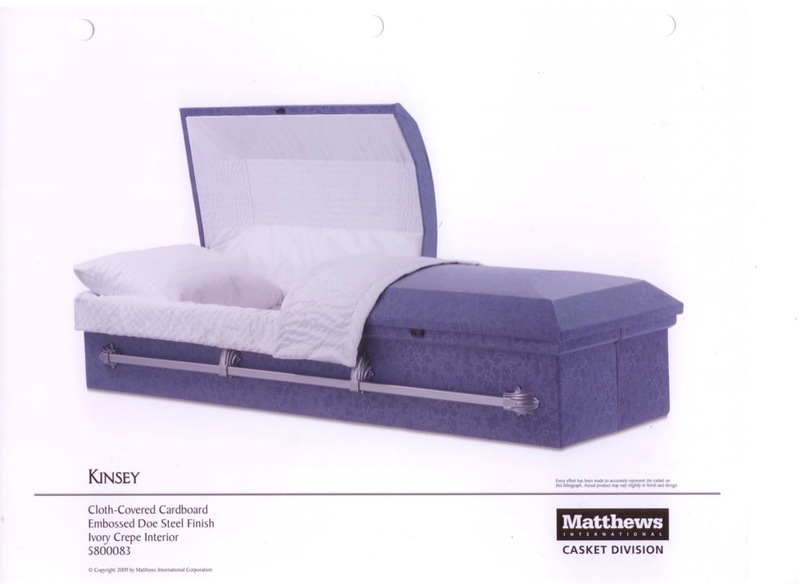 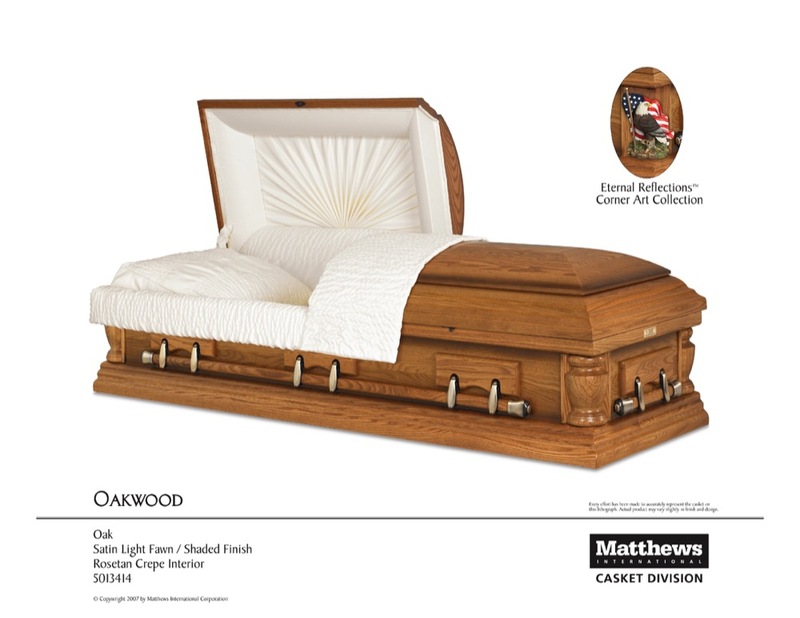 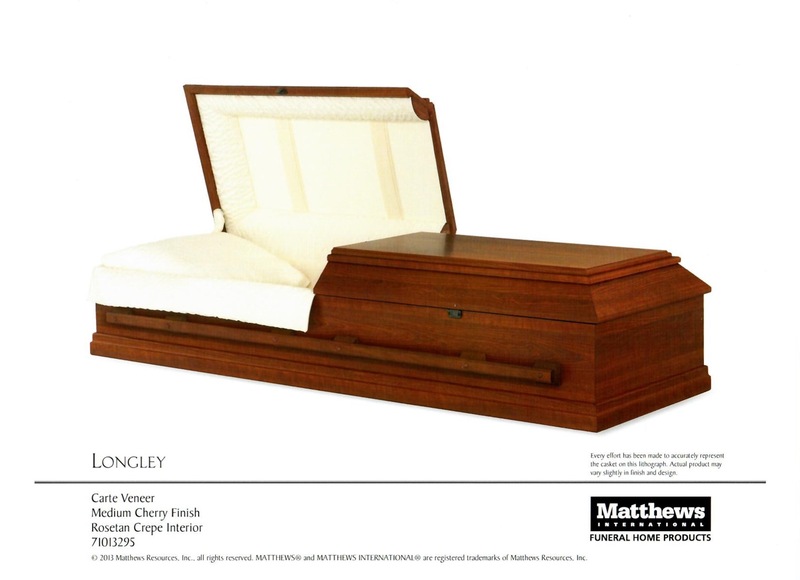 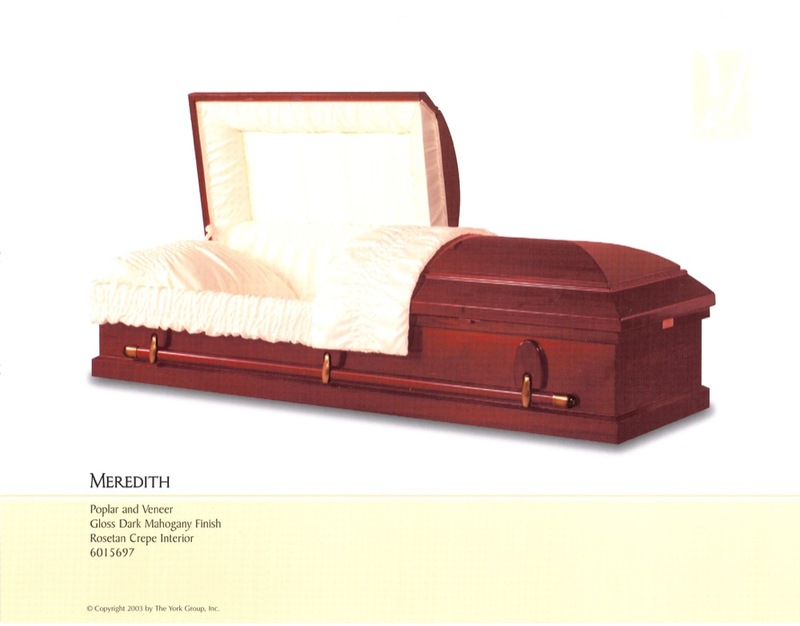 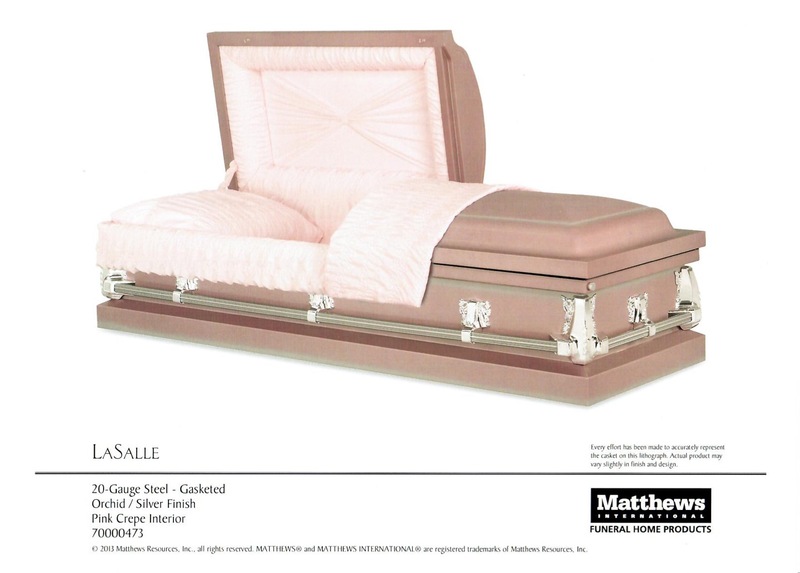 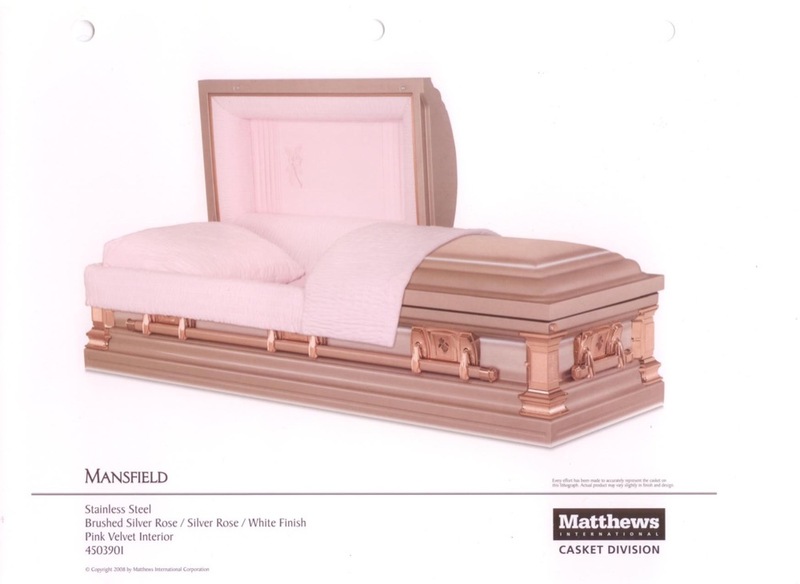 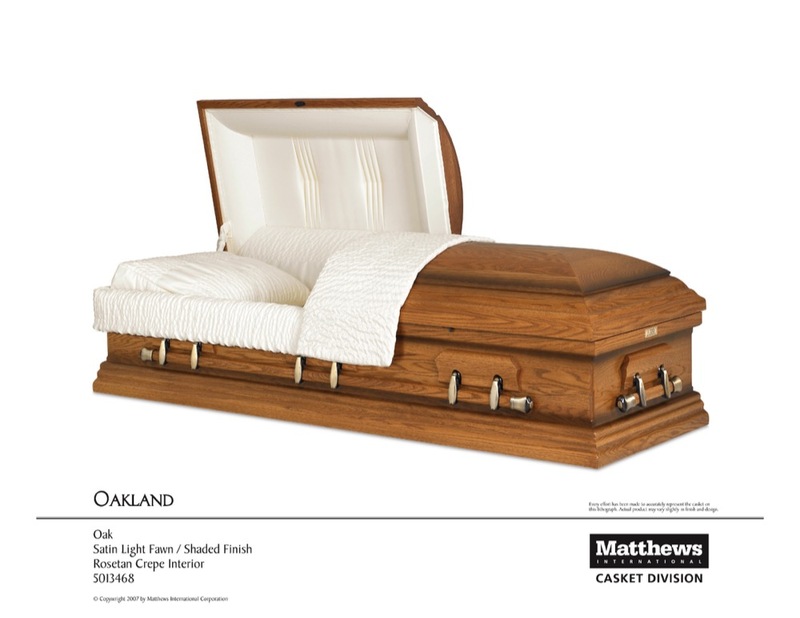 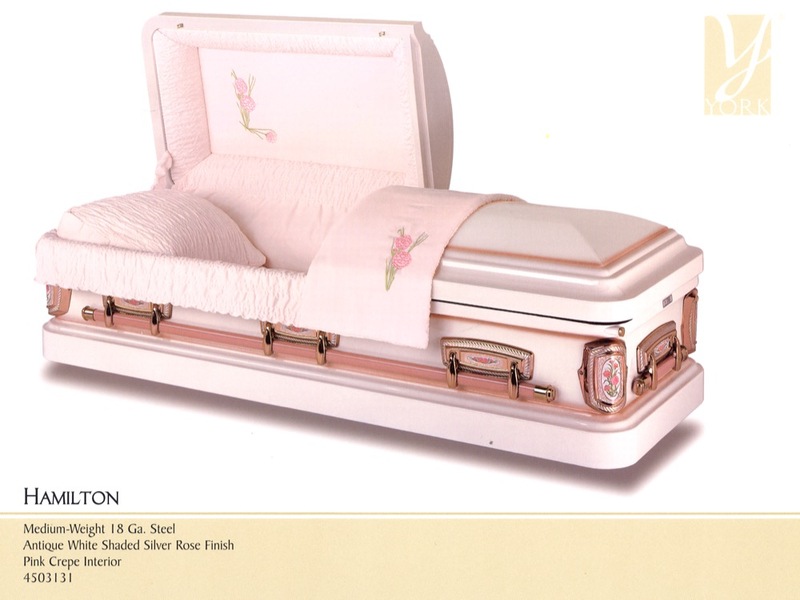 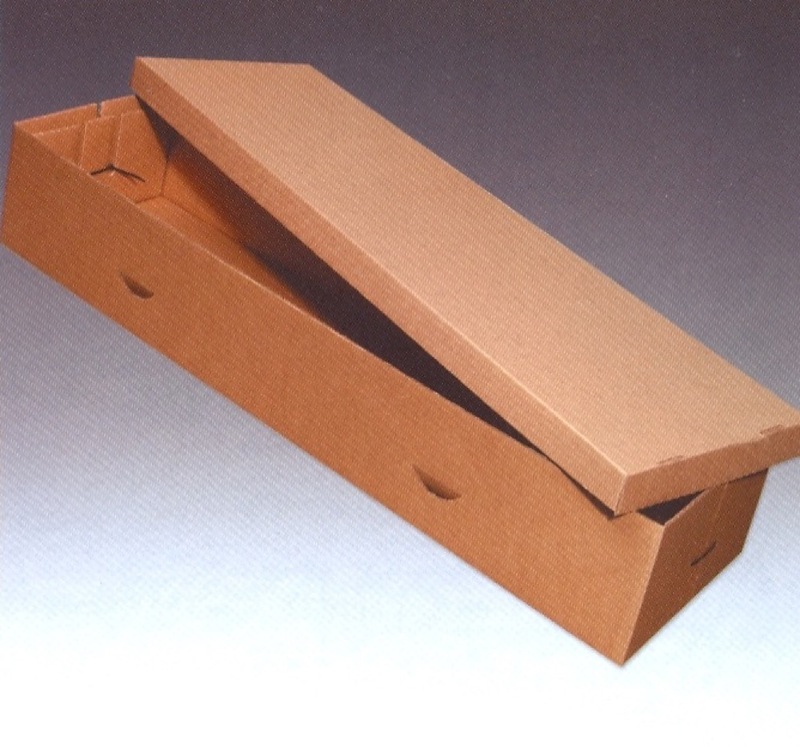 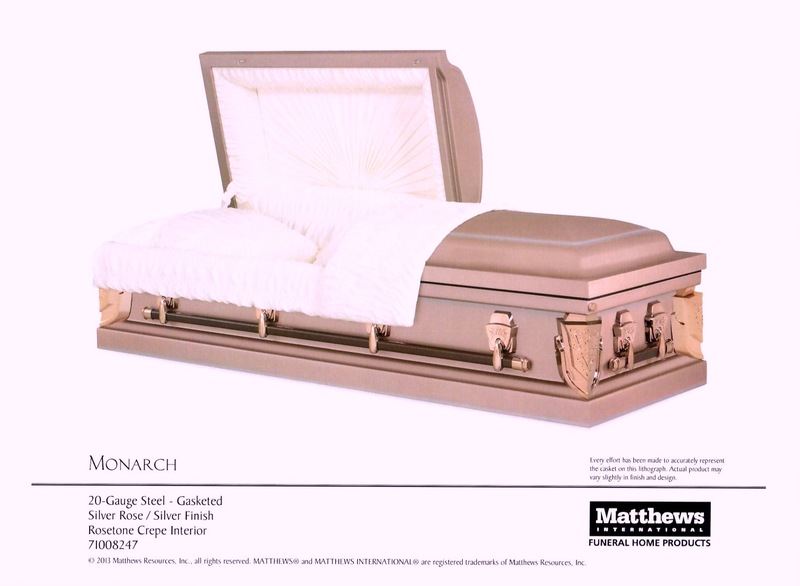 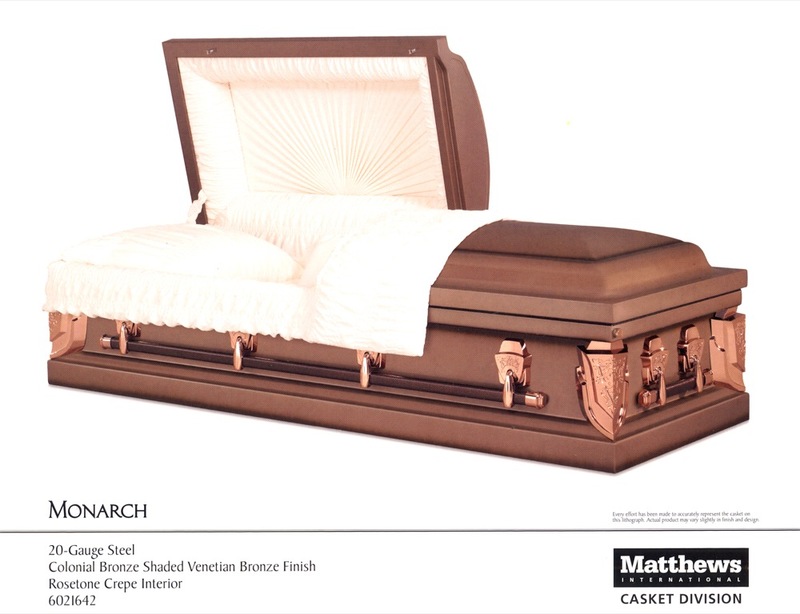 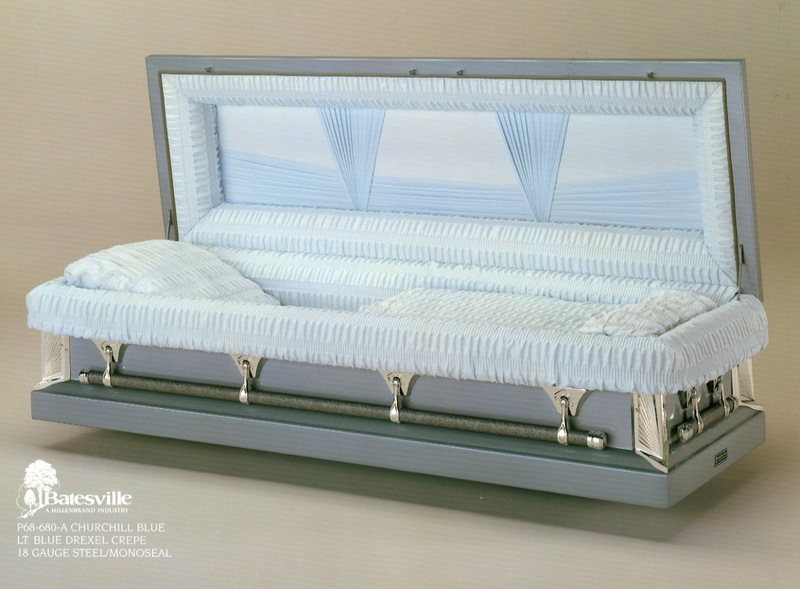 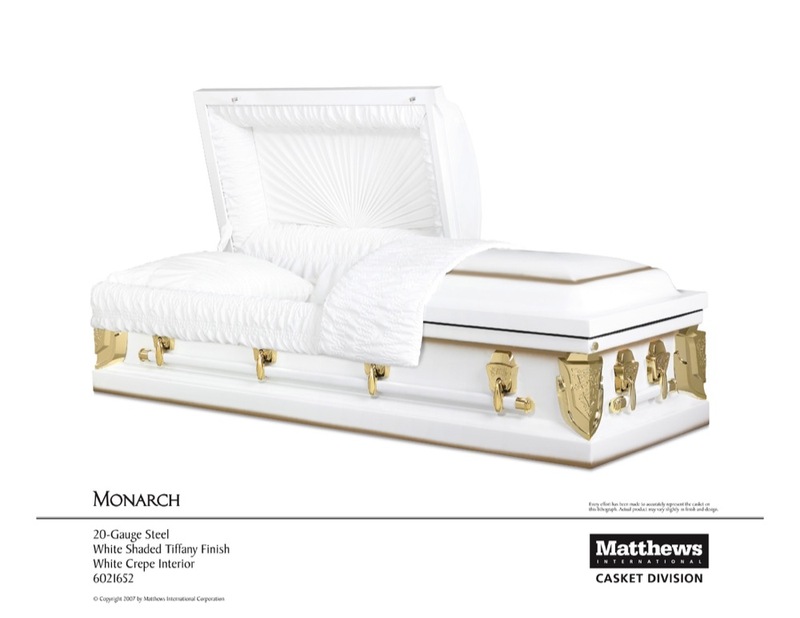 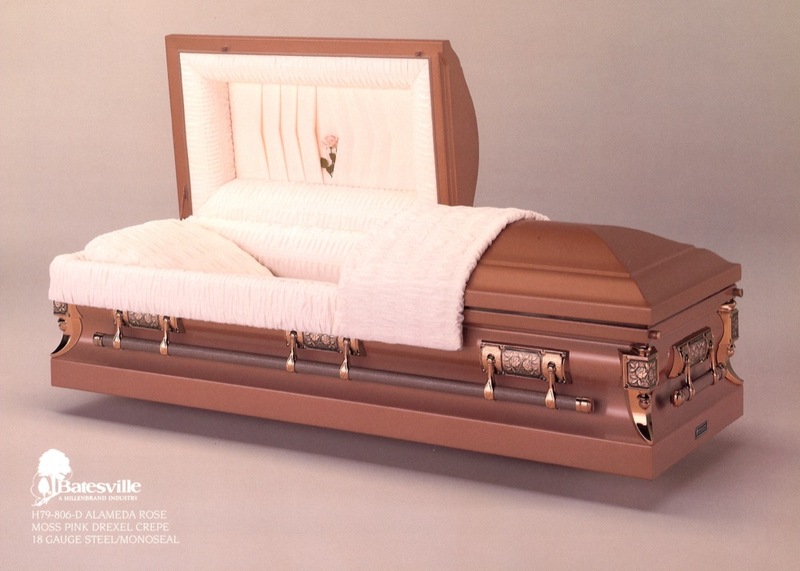 Caskets are manufactured from various weights and grades of metal and wood. 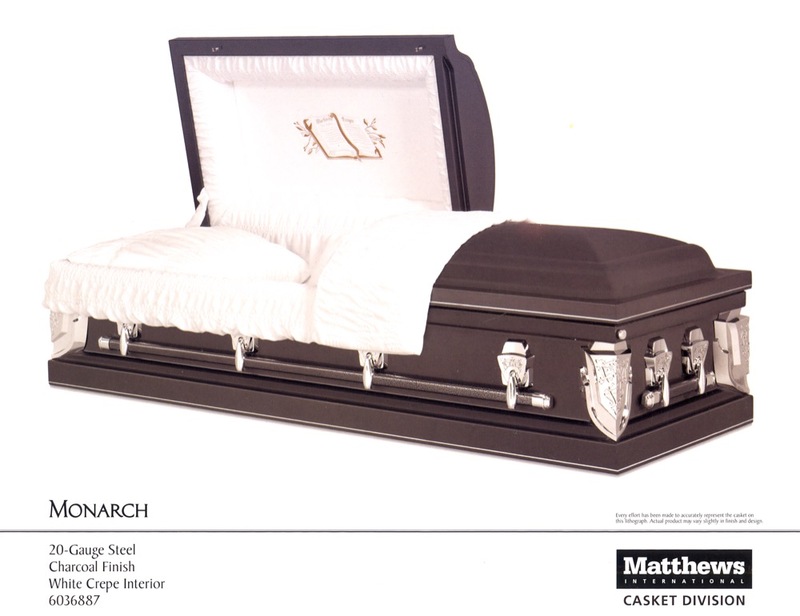 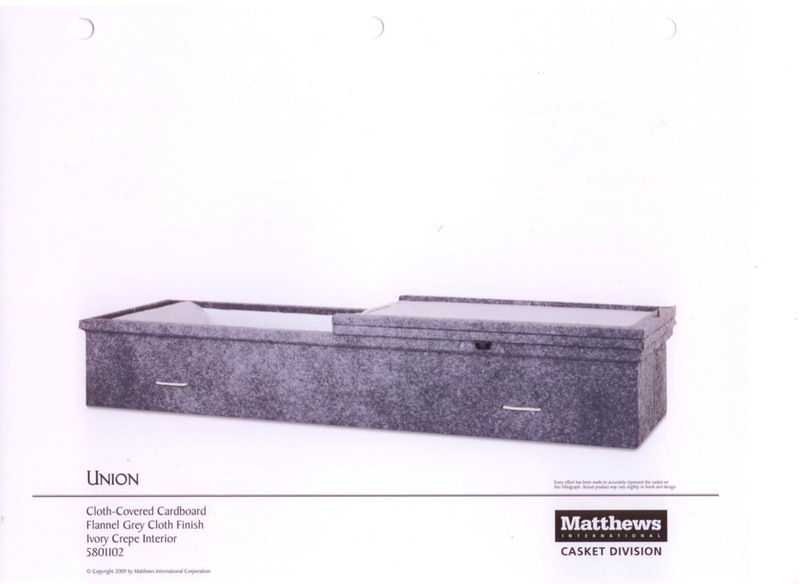 Metal caskets are available both with and without a rubber gasket between the lid and base of the casket. 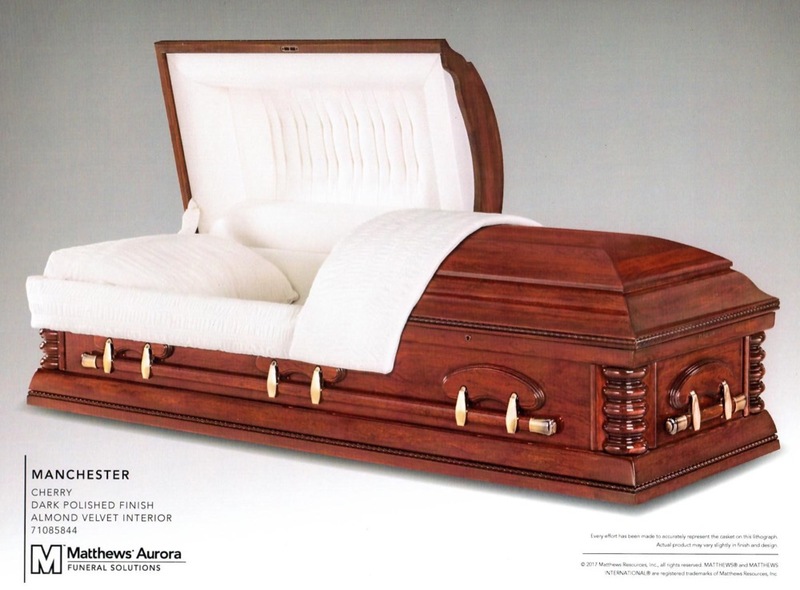 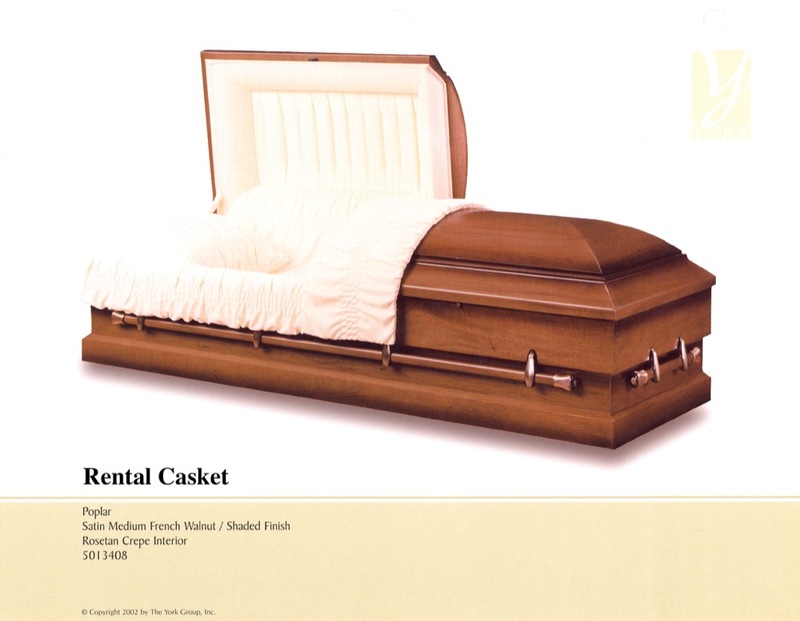 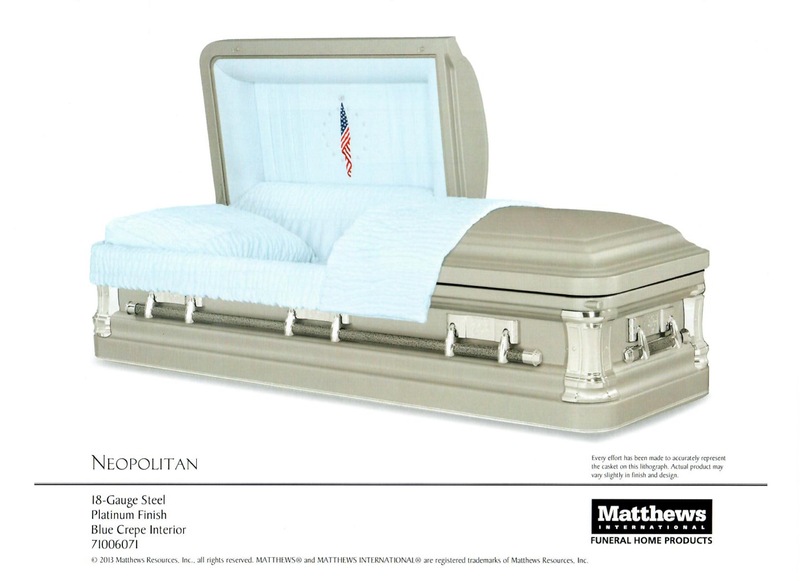 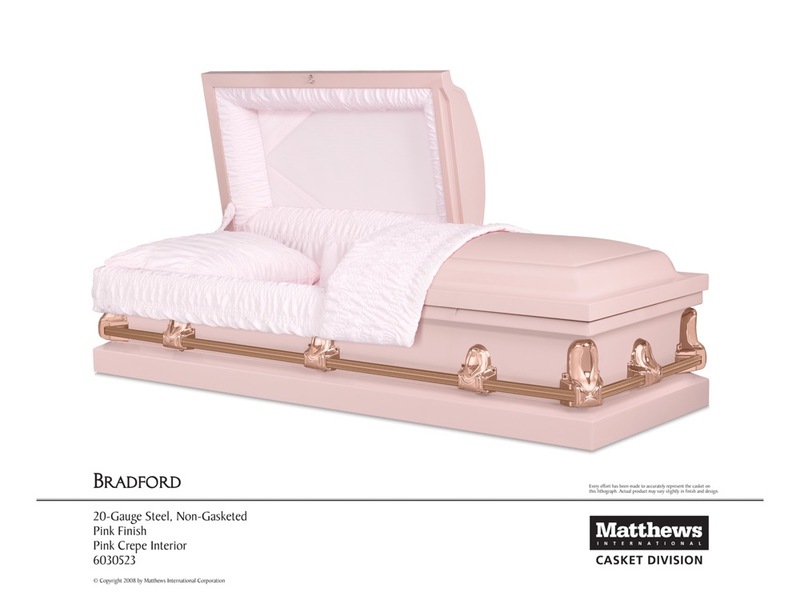 An attractive wood casket can be rented for a viewing, closed casket visitation or religious service if the funeral selected includes cremation.